AND there shall come forth a rod out of the stem of Yishai, and a Branch shall grow out of his roots: 2 And the RUACH YAHUAH shall rest upon him, the RUACH CHOKMAH and BIYNAH, the RUACH ETSAH and GEVURAH, the RUACH DA’ATH and of the YIR’AH of YAHUAH; 3 And shall make him of quick understanding in the fear of YAHUAH: and he shall not judge after the sight of his eyes, neither reprove after the hearing of his ears: 4 But with righteousness shall he judge the poor, and reprove with equity for the meek of the earth: and he shall smite the earth with the rod of his mouth, and with the breath of his lips shall he slay the wicked. 5 And righteousness shall be the belt of his loins, and faithfulness the belt of his reins. What, then, is the stem of Yishai? We get a partial list in Mattithyahu (Matthew) 1. Avraham begat את eth-Yitschaq; and Yitschaq begat את eth-Ya`aqov; and Ya`aqov begat את eth-Yahudah and את eth-his brethren; 3 And Yahudah begat את eth-Perets and את eth-Zerach of Tamar; and Perets begat את eth-Chetsron; and Chetsron begat את eth-Aram; 4 And Aram begat את eth-Ammiynadav; and Ammiynadav begat את eth-Nachshon; and Nachshon begat את eth-Salmah; 5 And Salmah begat את eth-Bo`az of Rachav; and Bo`az begat את eth-Oved of Ruth; and Oved begat את eth-Yishai; 6 And Yishai begat את eth-David the king; and David the king begat את eth-Shalomah of her that had been the woman of Uriyahu; 7 And Shalomah begat את eth-Rechav`am; and Rechav`am begat את eth-Aviyahu; and Aviyahu begat את eth-Aca; 8 And Aca begat את eth-Yahushaphat; and Yahushaphat begat את eth-Yoram; and Yoram begat את eth Uzziyahu; 9 And Uzziyahu begat את eth-Yotham; and Yotham begat את eth-Achaz; and Achaz begat את eth-Yechizqiyahu; 10 And Yechizqiyahu begat את eth-Menashsheh; and Menashsheh begat את eth-Amon; and Amon begat את eth-Yo’shiyahu; 11 And Yo’shiyahu begat את eth-Yekonyahu and את eth-his brethren, about the time they were carried away to Babel: 12 And after they were brought to Babel, Yekonyahu את eth begat She’altiy’el; and She’altiy’el begat את eth-Zerubbavel; 13 And Zerubbavel begat את eth-Aviyhud; and Aviyhud begat את eth-Elyaqiym; and Elyaqiym begat את eth Azzur; 14 And Azzur begat את eth-Tsadoq; and Tsadoq begat את eth-Yoqiym; and Yoqiym begat את eth-El’ayil; 15 And El’ayil begat את eth-El`azar; and El`azar begat את eth-Matthan; and Matthan begat את eth-Ya`aqov; 16 And Ya`aqov begat את eth-Yoceph the father of Miryam, of whom was born YAHUSHA, who is called MASHIACH. THIS is the cepher of the generations of Adam. In the day that ELOHIYM created man, in the likeness of ELOHIYM made he him; 2 Male and female created he them; and blessed them, and called את eth-their name Adam, in the day when they were created. 3 And Adam lived a hundred and thirty years, and begat a son in his own likeness, after his image; and called את eth-his name Sheth: 4 And the days of Adam after he had begotten את eth-Sheth were eight hundred years: and he begat sons and daughters: 5 And all the days that Adam lived were nine hundred and thirty years: and he died. 6 And Sheth lived a hundred and five years, and begat את eth-Enosh: 7 And Sheth lived after he begat את eth-Enosh eight hundred and seven years, and begat sons and daughters: 8 And all the days of Sheth were nine hundred and twelve years: and he died. 9 And Enosh lived ninety years, and begat את eth-Qeynan: 10 And Enosh lived after he begat את eth-Qeynan eight hundred and fifteen years, and begat sons and daughters: 11 And all the days of Enosh were nine hundred and five years: and he died. 12 And Qeynan lived seventy years, and begat את eth-Mahalal’el: 13 And Qeynan lived after he begat את eth-Mahalal’el eight hundred and forty years, and begat sons and daughters: 14 And all the days of Qeynan were nine hundred and ten years: and he died. 15 And Mahalal’el lived sixty and five years, and begat את eth-Yered: 16 And Ma-halal’el lived after he begat את eth-Yered eight hundred and thirty years, and begat sons and daughters: 17 And all the days of Mahalal’el were eight hundred ninety and five years: and he died. 18 And Yered lived a hundred sixty and two years, and he begat את eth-Chanok: 19 And Yered lived after he begat את eth-Chanok eight hundred years, and begat sons and daughters: 20 And all the days of Yered were nine hundred sixty and two years: and he died. 21 And Chanok lived sixty and five years, and begat את eth-Methushelach: 22 And Chanok walked with את eth-ELOHIYM after he begat את eth-Methushelach three hundred years, and begat sons and daughters: 23 And all the days of Chanok were three hundred sixty and five years: 24 And Chanok walked with את eth-ELOHIYM: and he was not; for ELOHIYM took him. 25 And Methushelach lived a hundred eighty and seven years, and begat את eth-Lemek: 26 And Methushelach lived after he begat את eth-Lemek seven hundred eighty and two years, and begat sons and daughters: 27 And all the days of Methushelach were nine hundred sixty and nine years: and he died. 28 And Lemek lived a hundred eighty and two years, and begat a son: 29 And he called את eth-his name Noach, saying: This same shall comfort us concerning our work and toil of our hands, because of the ground which YAHUAH has cursed. 30 And Lemek lived after he begat את eth-Noach five hundred ninety and five years, and begat sons and daughters: 31 And all the days of Lemek were seven hundred seventy and seven years: and he died. 32 And Noach was five hundred years old: and Noach begat את eth-Shem, את eth-Cham, and את eth-Yapheth. Avraham - Yitschaq -Ya`aqov -Yahudah - Perets - Chetsron - Aram - Ammiynadav – Nachshon - Salmah - Bo`az - Oved - Yishai – David (14) - Shalomah - Rechav`am (Melekiym Ri’shon [1 Kings] 12) – Aviyahu (Melekiym Ri’shon [1 Kings] 14) – Aca (Melekiym Ri’shon [1 Kings] 15) -Yahushaphat (Melekiym Ri’shon [1 Kings] 15) – Yoram (Melekiym Sheniy [2 Kings] 8) – Uzziyahu (Divrei Hayamiym Sheniy [2 Chronicles] 26) – Yotham (Melekiym Sheniy [2 Kings] 15) - Achaz (Melekiym Sheniy [2 Kings] 16) – Yechizqiyahu (Melekiym Sheniy [2 Kings] 16) - Menashsheh (Melekiym Sheniy [2 Kings] 21) - Amon (Melekiym Sheniy [2 Kings] 21) - Yo’shiyahu (Melekiym Sheniy [2 Kings] 22) (14) - Yekonyahu (Yirmeyahu [Jeremiah] 24) and את eth-his brethren, about the time they were carried away to Babel - She’altiy’el - Zerubbavel - Aviyhud – Elyaqiym - Azzur -Tsadoq -Yoqiym -El’ayil - El`azar - Matthan -Ya`aqov -Yoceph the father of Miryam, of whom was born YAHUSHA, (14) who is called MASHIACH. Now the stem of Yishai is the Green Olive Tree. By the time, we get to this passage, Shalomah’s (Solomon’s) kingdom had already been divided into the Northern Kingdom of the 10 tribes called Yashar’el, and the Southern Kingdom of the 3 tribes called Yahudah. Yashar’el had completely divorced itself from the teachings of the Torah and the ways of YAHUAH, such that before 722 BC, YAH issues a bill of divorce (cepher keriythuth) to Yashar’el, and would go on to do the same to Yahudah. And YAHUAH spoke by his servants the prophets, saying: 11 Because Menashsheh king of Yahudah has done these abominations, and has done wickedly above all that the Emoriym did, which were before him, and has made את eth-Yahudah also to sin with his idols: 12 Therefore thus says YAHUAH ELOHAI of Yashar’el: Behold, I am bringing such evil upon Yerushalayim and Yahudah, that whoever hears of it, both his ears shall tingle. 13 And I will stretch over Yerushalayim את eth the line of Shomeron, and את eth-the plummet of the house of Ach’av: and will wipe את eth-Yerushalayim as a man wipes את eth-a dish, wiping it, and turning it upside down. 14 And I will forsake את eth the remnant of my inheritance, and deliver them into the hand of their enemies; and they shall become a prey and a spoil to all their enemies; 15 Because they have done את eth-that which was evil in my sight, and have provoked me to anger, since the day their fathers came forth out of Mitsrayim, even to this day. 16 Moreover Menashsheh shed innocent blood very much, till he had filled את eth-Yerushalayim from one end to another; beside his sin wherewith he made את eth-Yahudah to sin, in doing that which was evil in the sight of YAHUAH. Now, the word here for forsake is natash (נָטַשׁ) (Strong's 5203) meaning to pound, i.e. to smite; to disperse; to thrust off, down, out or upon; to cast off, drawn, let fall, forsake, join (battle), leave (off), lie still, loose, spread (self) abroad, stretch out, suffer. Notwithstanding YAHUAH did not turn from the fierceness of his great wrath, wherewith his anger was kindled against Yahudah, because of all the provocations that Menashsheh had provoked him withal. 27 And YAHUAH said: I will remove את eth-Yahudah also out of my sight, as I have removed את eth-Yashar’el, and will cast off את eth-this city את eth-Yerushalayim which I have chosen, and את eth-the house of which I said: My name shall be there. As we can see, the apostasian – the cepher of divorcement – is given also to Yahudah. And I saw, when for all the causes whereby backsliding Yashar’el broke wedlock I had put her away, and given her את eth-a cepher of divorce; yet her treacherous sister Yahudah feared not, but went and played the harlot also. 9 And it came to pass through the lightness of her whoredom, that she defiled את eth-the land, and את eth-broke wedlock with stones and את eth-with stocks. 10 And yet for all this her treacherous sister Yahudah has not turned to me with her whole heart, but feignedly, says YAHUAH. 11 And YAHUAH said to me: The backsliding Yashar’el has justified herself more than treacherous Yahudah. 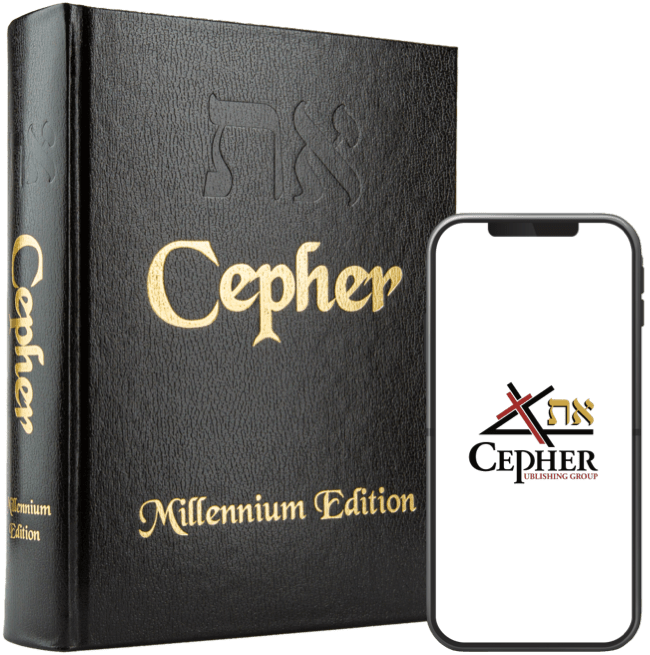 NOTE: The phrase cepher of divorce (cepher keriythuth in the Hebrew) is called the apostasian (the masculine form of the word apostasia) in the Greek as set forth in the Septuagint. We see here in this passage that the branches of Yashar’el are lopped off the Green Olive Tree, and the 10 tribes were dispersed. But Yahudah was not spared either, such that all of the branches of the Green Olive Tree were broken off and a fire kindled under them. However, because we see two different judgments – one on the Northern Kingdom Yashar’el, and another one on the Southern Kingdom Yahudah, can we discuss two separate branches of this Green Olive Tree. I think so, as history has delivered two different destinies. AND the angel that talked with me came again, and waked me, as a man that is wakened out of his sleep, 2 And said unto me: What do you see? And I said, I have looked, and behold a menorah all of gold, with a bowl upon the top of it, and his seven lamps thereon, and seven pipes to the seven lamps, which are upon the top thereof: 3 And two olive trees by it, one upon the right side of the bowl, and the other upon the left side thereof. 11 Then answered I, and said to him: What are these two olive trees upon the right side of the menorah and upon the left side thereof? 12 And I answered again, and said unto him: What are these two olive branches which through the two golden pipes empty the golden oil out of themselves? 13 And he answered me and said: Know you not what these be? And I said, No, my lord. 14 Then said he: These are the two anointed ones, that stand by the ADONAI of the whole earth. We have room for discussion here, do we not? That the two olive branches which empty the golden oil out of themselves are in fact the two kingdoms following their respective two destinies. Recall, that the truth of the matter requires the testimony of two or more witnesses, Devariym (Deuteronomy) 17:6; 19:15; Mattithyahu (Matthew) 18:16. And we have several alliterations of this very thing. 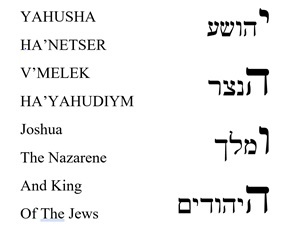 The first example can be found in Besorah Luqas (the gospel of Luke). And when the days of her purification according to the Torah of Mosheh were accomplished, they brought him to Yerushalayim, to present him to YAHUAH; 23 (As it is written in the statutes of YAHUAH: Every male that opens the womb shall be called holy to YAHUAH;) 24 And to offer a sacrifice according to that which is said in the statutes of YAHUAH, A pair of turtledoves, or two young pigeons. 25 And, behold, there was a man in Yerushalayim, whose name was Shim`on; and the same man was just and devout, waiting for the consolation of Yashar’el: and the RUACH HAQODESH was upon him. 26 And it was revealed to him by the RUACH HAQODESH, that he should not see death, before he had seen YAHUAH’S את eth-MASHIACH. 27 And he came by the RUACH into the Temple: and when the parents brought in the child YAHUSHA, to do for him according to the customary practices of the Torah, 28 Then took he him up in his arms, and blessed YAH, and said: 29 YAHUAH, now let your servant depart in peace, according to your word: 30 For my eyes have seen your yeshu`ah, 31 Which you have prepared before the face of all people; 32 A light to lighten the other nations, and the glory of your people Yashar’el. 33 And Yoceph and his mother marvelled at those things which were spoken of him. 34 And Shim`on blessed them, and said to Miryam his mother: Behold, this child is set for the fall and rising again of many in Yashar’el; and for a sign which shall be spoken against; 35 (Yea, a sword shall pierce through your own soul also,) that the thoughts of many hearts may be revealed. 36 And there was one Channah, a prophetess, the daughter of Penu’el, of the tribe of Asher: she was of a great age, and had lived with a man seven years from her virginity; 37 And she was a widow of about fourscore and four years, which departed not from the Temple, but served את eth-YAHUAH with fastings and prayers night and day. 38 And she coming in that instant gave thanks likewise to YAHUAH, and spoke of him to all those who looked for redemption in Yerushalayim. 39 And when they had performed all things according to the statutes of YAHUAH, they returned into Galiyl, to their own city Natsareth. Here we have two witnesses that YAHUSHA was in fact HAMASHIACH upon his presentation at the Temple on the eighth day: one (Shim’on) from the Southern Kingdom of Yahudah, and the other Channah – of the tribe of Asher, from the Northern Kingdom of Yashar’el. And he said: A certain man had two sons [two olive branches from the same green olive tree]: 12 And the younger of them said to his father, Father, give me the portion of goods that falls to me. And he divided to them his living. 13 And not many days after the younger son gathered all together, and took his journey into a far country [dispersed throughout the world like the 10 tribes of the Northern Kingdom], and there wasted his substance with riotous living. 14 And when he had spent all, there arose a mighty famine in that land; and he began to be in want. 15 And he went and joined himself to a citizen of that country; and he sent him into his fields to feed swine [left the Torah of his father]. 16 And he would fain have filled his belly with the husks that the swine did eat: and no man gave to him. 17 And when he came to himself, he said: How many hired servants of my father's have bread enough and to spare, and I perish with hunger! 18 I will arise and go to my father, and will say to him, Father, I have sinned against heaven, and before you, 19 And am no more worthy to be called your son: make me as one of your hired servants. 20 And he arose, and came to his father. But when he was yet a great way off, his father saw him, and had compassion, and ran, and fell on his neck, and kissed him. 21 And the son said to him: Father, I have sinned against heaven, and in your sight, and am no more worthy to be called your son. 22 But the father said to his servants: Bring forth the best robe, and put it on him; and put a ring on his hand, and shoes on his feet: 23 And bring hither the fatted calf, and kill it; and let us eat, and be merry: 24 For this my son was dead, and is alive again; he was lost, and is found. And they began to be merry. 25 Now his elder son [the Southern Kingdom not dispersed] was in the field: and as he came and drew near to the house, he heard music and dancing. 26 And he called one of the servants, and asked what these things meant. 27 And he said to him: Your brother is come; and your father has killed the fatted calf, because he has received him safe and sound. 28 And he was angry, and would not go in: therefore his father came out, and intreated him. 29 And he answering said to his father, Lo, these many years do I serve you, neither transgressed I at any time your commandment: and yet you never gave me a kid, that I might make merry with my friends: 30 But as soon as this your son was come, which has devoured your living with harlots, you have killed for him the fatted calf. 31 And he said to him: Son, you are ever with me, and all that I have is yours. 32 It was meet that we should make merry, and be glad: for this your brother was dead, and is alive again; and was lost, and is found. For I speak to you other nations, inasmuch as I am the apostle of the other nations, I magnify my office: 14 If by any means I may provoke to emulation את eth them which are my flesh, and might save some of them. 15 For if the casting away of them be the reconciling of the world, what shall the receiving of them be, but life from the dead? 16 For if the firstfruit be holy, the lump is also holy: and if the root be holy, so are the branches. 17 And if some of the branches be broken off, and you, being a wild olive tree, were grafted in among them, and with them partake of the root and fatness of the olive tree; 18 Boast not against the branches. But if you boast, you bear not the root, but the root you. 19 You will say then: The branches were broken off, that I might be grafted in. 20 Well; because of unbelief they were broken off, and you stand by belief. Be not high-minded, but fear: 21 For if YAH spared not the natural branches, take heed lest he also spare not you. 22 Behold therefore the goodness and severity of YAH: on them which fell, severity; but toward you, goodness, if you continue in his goodness: otherwise you also shall be cut off. So we see here that wild olive branches are grafted onto the root of the olive tree. Which olive tree? The Green Olive Tree of Yirmeyahu (Jeremiah) 11, which is of the stem Yishai and is the Branch which grows out of its root. I AM the Vine of Truth, and my Father is the Husbandman. 2 Every branch in me that does not bear fruit he takes away [i.e., breaks off]: and every branch that bears fruit, he purges it, that it may bring forth more fruit. 3 Now you are clean through the word which I have spoken to you. 4 Abide in me, and I in you. As the branch cannot bear fruit of itself, except it abides in the vine; no more can you, except that you abide in me. 5 I am the Vine, ye are the Netseriym [i.e., the branches]: He that abides in me, and I in him, the same brings forth much fruit: for without me you can do nothing. As can be seen at this point: We all are wild olive branches. All of the natural branches were lopped off and the whole of the house of Yashar’el was dispersed throughout the world and, importantly, out of the adamah qodesh (the Holy Land). The root of the Green Olive Tree is HAMASHIACH (and there is no other) who says openly: I AM THE VINE OF TRUTH. He is the Branch (ha’netser) into which the wild olive branches are grafted (the netseriym). And I will give power to my two witnesses, and they shall prophesy for a thousand two hundred and sixty days, clothed in sackcloth. 4 These are the two olive trees, and the two menoroth standing before YAH of the earth.